If you’re a FIOS customer in the Westchester area and enjoy food, you probably find yourself watching Restaurant Hunter from time to time. Host Rob Petrone (along with Amanda Prince) visits different towns in the county and stops by select restaurants. In one episode, Rob ate at Dubrovnik, a Croatian restaurant in New Rochelle. We’ve driven by the restaurant many times, always intrigued by the thought of Croatian fare. After watching the episode, we decided to check it out. We made reservations for 6pm on a recent Saturday night- good thing we did. The restaurant was quite busy when we arrived and it continued throughout the evening. Having never eaten Croatian food before, the menu was very appealing. From appetizers such as octopus salad to grilled jumbo shrimp and entrees including grilled salmon and filet mignon, it was hard to decide on what to order. Eventually, we decided on the chicken soup (not pictured) and grilled octopus for our appetizers. The octopus was cooked perfectly and the salad provided a fresh citrus alternative. It was a cool autumn evening so the chicken soup was comforting. 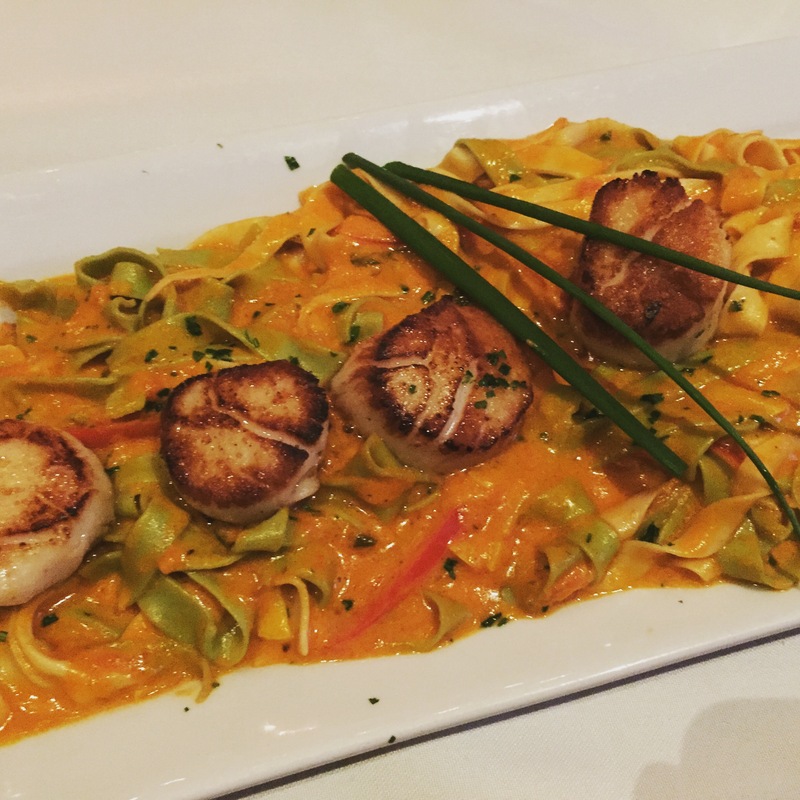 For our entrees, we ordered the scallops with pasta and branzino served with veggies. The scallops were soft and tender, the way they should be. 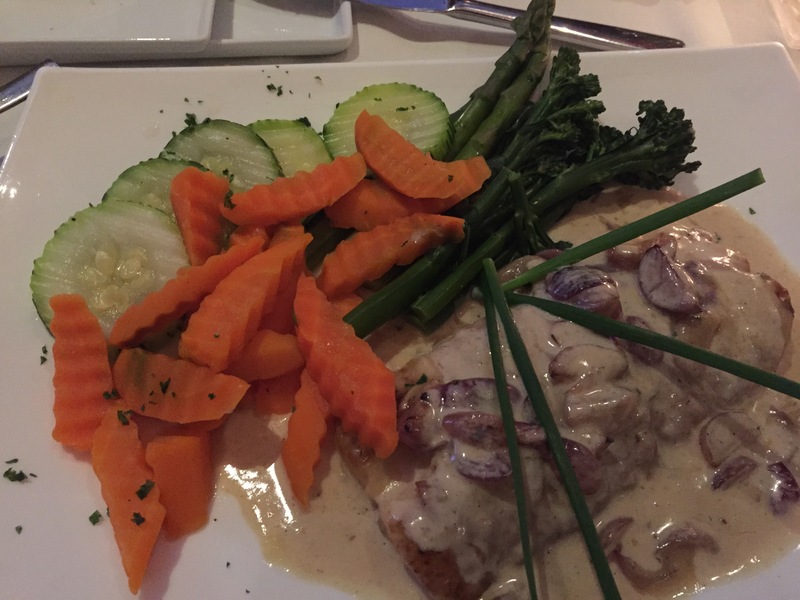 The fish was delicious with the mushroom sauce providing the right combination. Of course, we had to save room for dessert. 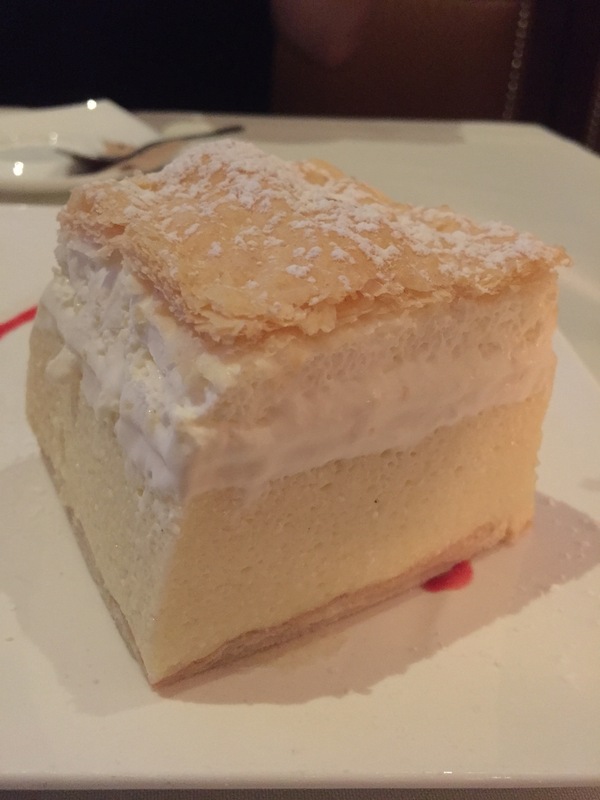 We asked our server for a recommendation, and without hesitation she suggested the Kremshnita (aka crispy puff pastry with vanilla custard). It was defnitely a decadent way to end our meal at Dubrovnik. If you’re ever in New Rochelle, we highly recommend stopping by Dubrovnik. You’ll be in for a treat! If one thing is for sure, when you visit Croatia, you will fell in love in croatian food. 🙂 Many of our friends come back because of the food and wine.